There are lots of smart thermostats on the market that all perform the same basic tasks The Most Energy-Efficient Way to Set Your Thermostat The Most Energy-Efficient Way to Set Your Thermostat In the dead of winter and peak of summer, one question that pops up at least once throughout each season is: how should you set your thermostat so that both comfort and savings are maximized? Read More , but some are smarter than others. That being said, “smarts” aren’t the only thing to consider when choosing a thermostat system for your home. Do you have a large two-story home or a tiny apartment? Do you plan on installing the thermostat yourself or would you rather get a professional involved? It’s these types of questions that will determine which solution is best for you. 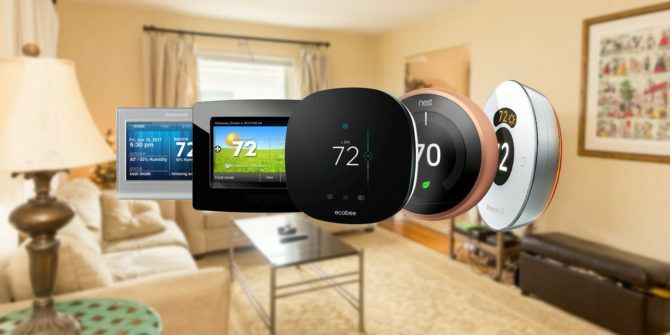 In this article, we’ll look at five of the top-selling smart thermostats and see how they differ in four important categories, including ease of use, features, compatibility, installation, and price/warranty. The Nest Learning Thermostat is ideally suited for someone who wants to go all-in on the entire smart home concept. This device is the one to buy if you enjoy DIY projects and like the idea of machine learning. However, as Nest uses only one central device, it’s not the best solution for someone with a large home. Introduced in 2011, the Nest Learning Thermostat was one of the first smart home products Save Energy and Money With These Smart Home Devices Save Energy and Money With These Smart Home Devices One of the biggest benefits of a smart home is the energy saving technologies available. As well as saving money, you’ll also be pushing toward a more sustainable, convenient living situation. Read More on the market. Originally developed by Nest Labs, it’s now owned by Alphabet Inc. Now in its third generation, Nest remains the most popular smart thermostat available. Nest offers a variety of features 13 Things You Didn't Know You Could Do With a Nest Thermostat 13 Things You Didn't Know You Could Do With a Nest Thermostat You may be surprised just how many little tricks you can accomplish with your new Nest thermostat! 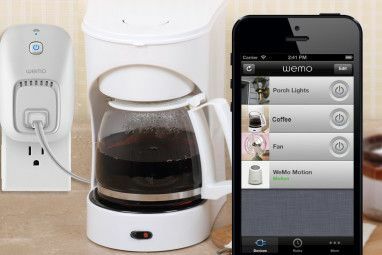 Read More , including: Home/Away Assist, which senses when you’re not home; Leaf, which helps you save money on your energy costs; and Farsight, which allows it to light up whenever someone is in the room so you can see the time, temperature, or weather. 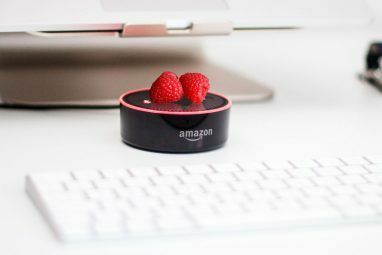 You’ll also find that Nest works with IFTTT, Google Home, Amazon Alexa, and many more smart home devices and processes. As a “self-learning” thermostat, Nest doesn’t require much user input once it’s connected to your home’s Wi-Fi. For the first few weeks Test Nest IFTTT Recipes Before You Buy, With Nest Home Simulator Test Nest IFTTT Recipes Before You Buy, With Nest Home Simulator Automating your home with products like the Nest Thermostat or the Nest Protect smoke detector is very cool, but wouldn't it be nice to actually test those automations out without buying those devices first? Read More , you’ll be asked to manually regulate the temperature in your home, so it learns what you like. Nest will also use its built-in sensors and smartphone locators to determine whether someone is at home, then adjust the temperature accordingly. Whether you’re using the menus found on the actual Nest or one of the free Nest apps, this process is relatively pain-free. Nest has a website where you can determine whether it’s compatible with your system How to Install and Use the Nest Thermostat to Automate Energy Savings How to Install and Use the Nest Thermostat to Automate Energy Savings If you've ever considered getting started with home automation, purchasing a Nest thermostat is the perfect way to start. In just a week of using it, we cut our energy consumption in half. Read More . Remove the cover of your existing thermostat to see the type of wires in your home and input this information into the site. If Nest requires further information, you’ll need to send them a picture of your setup. Otherwise, you’ll receive a compatibility report in seconds. If you have additional questions, you can also chat with a Nest representative online. Once you receive your Nest, circle back around to the website to view the company’s installation video. Your Nest kit also comes with easy-to-follow instructions. Rather have a professional do your install? Call a Nest Pro. The $239 Nest Learning Thermostat (£188/C$312) is available in various styles to match your home’s decor, including stainless steel, copper, black, and white. You can control up to 20 thermostats per home, and it comes with a 2-year warranty. While the Nest Learning Thermostat is well-established, the Lyric Round Wi-Fi Thermostat from Honeywell International Inc. has recently been upping its game. New features such as Geofences, for example, put it more in line with the market leader. With this in mind, if you’re dedicated to Apple HomeKit you may want to choose the Lyric Round. The Lyric Round has gradually added new features since it was first released. These include: Geofences, which it uses to adjust temperatures when no one is home; Fine Tune, which adjusts the temperature based on the humidity in the room; and Smart Cues, which serve as notifications and status updates on your HVAC system. The second-generation Lyric Round supports Amazon Alexa, Apple HomeKit, and Samsung SmartThings. The Lyric Round isn’t a learning thermostat, which means that it works as expected right out of the box. Use the device or app to adjust your preferences, decide which users get alerts, and fine-tune your comforts based on how you live. This thermostat is one of the easiest to use thanks to its graphical interface. If you do get stuck, Honeywell’s YouTube Channel includes several instructional video uploads. The Lyric Round thermostat second-edition works with standard 24 V systems such as forced air, hydronic, heat pump, oil, gas, and electric. However, it doesn’t work with electric baseboard heating. For further information on compatibility and installation, check out Honeywell’s online videos and the Lyric Thermostat app for iOS or Android. The Lyric Round (C$184) is priced at $249 with a two-year warranty, and you can often find sales online as low as $199. Allowing you to connect up to 32 sensors at once, the Ecobee Smarter Thermostat is a great choice for those with larger or multi-level homes. It’s noted for its remote temperature and motion sensors, which allow you to monitor and change the temperatures in different rooms on the same system. Ecobee3’s features include: Data Monitoring, which can help you to adjust to your preferred temperature; a four-day weather forecast, so you know what to expect; Follow Me, which uses room sensors to know which room you’re in and automatically adjusts to your preferred temperature; Thermal Protect, which keeps your home’s temperature comfortable even when it goes offline; and Home IQ, which provides your energy usage and savings estimates. The thermostat includes compatibility for Amazon Alexa, Apple HomeKit, Samsung SmartThings, IFTTT, and more. The Ecobee3 offers an intuitive app or a simple touch interface. The device uses a weather forecast function to adjust your heating and cooling settings automatically. Unlike Nest, Ecobee3 doesn’t “learn” from your patterns. In other words, it won’t keep track of when you usually leave your home each day. Instead, it uses sensors to adjust temperatures in real-time based on occupancy. Like Nest, Ecobee offers a compatibility tool on its website. If it can’t determine compatibility based on your thermostat wires, it will ask for a picture of your setup. You can also email Ecobee if you have further questions. Video guides provide installation instructions for when you receive your unit. These are accessible online or through the free Ecobee app for iOS or Android. Both online installation support and certified professionals are available if you need additional help with installation. The Ecobee3 (C$294) is available for $249 and includes a three-year warranty. If you’d like to jump into the Ecobee system for less, consider the Ecobee3 Lite for $169. If you’re building a new home and would rather not mess with learning thermostats, consider the Venstar ColorTouch. It takes a no-nonsense approach to heating and cooling, and is available in various models, including three for home use and three for commercial. The ColorTouch doesn’t bring nearly as much to the table as the other products on our list. Think of it as a scheduling tool with some advanced features thrown in. Though its features are limited, Venstar does offer the most attractive thermostat on the list. It includes user-configurable themes and wallpaper, plus the ability to display photos when the thermostat is in screen-saver mode. The Venstar thermostat uses a touch-screen interface to access a calendar-based scheduling system. To use the system via a smart device, you’ll need to install an option card to get the unit online. When you do, you can access the information via the free Skyport Mobile App for iOS and Android. Venstar sells its systems through an approved list of installers, so it’s very hard to learn more about compatibility. Your best bet is to visit a Venstar retailer for more information on compatibility and installation. The Venstar costs $184 and comes with a one-year warranty. Be sure to purchase a Venstar with Wi-Fi included if you’d like to use the Skyport Mobile App. The Honeywell Wi-Fi Smart Thermostat is ideally suited for new home builders or those who want an existing home to go smart, but not too smart. Because of its scheduling feature, it’s also a great choice for frequent travelers or those with a secondary home. If you appreciate the Honeywell name, but would rather not go down the path of the Lyric Round, this is the thermostat to consider. Like the VenStar, the Honeywell Wi-Fi Smart Thermostat’s primary function is to allow you to schedule a series of pre-set programs to help you save money on your energy costs. You can also control the thermostat using the touch screen, and change the background color to match your paint color or personal preference. The thermostat is also compatible with Amazon Alexa and Apple HomeKit. The Honeywell Wi-Fi Smart Thermostat features a user-friendly touch interface, which is also accessible on iOS and Android-based devices. The Honeywell Wi-Fi Smart Thermostat works with most low-voltage systems, but keep in mind that it won’t work with electric baseboard heaters. Honeywell offers a compatibility guide online, which you should review before making a purchase. The company also provides online and manual instructions for installation. You can purchase a Honeywell Wi-Fi Smart Thermostat (C$199) for around $200, which includes a one-year warranty. The Nest Learning Thermostat remains the product to beat when it comes to smart heating and cooling. If you’re looking for an all-in-one solution that takes your comings and goings into account, this is the one for you. That being said, the Lyric Round continues to improve with each new software release — and it comes from Honeywell, which is a huge plus for many users. The Ecobee3 offers many of the features found Ecobee3 vs. Nest Thermostat: A Head-to-Head Comparison Ecobee3 vs. Nest Thermostat: A Head-to-Head Comparison Did you know that a smart thermostat can boost your home value? It's one of many reasons why a smart thermostat is well worth the initial investment. But which one should you get? Read More on both the Nest and the Lyric Round. 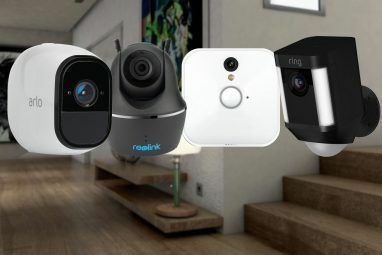 It’s a great choice for folks with larger homes where multiple sensors are necessary. Finally, think of both the Honeywell Wi-Fi Smart Thermostat and VenStar WiFi ColorTouch as mostly manual solutions with a few smart tools thrown in. These are for folks looking for the ability to schedule the temperature in their homes from afar on a daily basis and little more. Which smart home heating and cooling system are you using? Why does it fit your lifestyle best? Let us know using the comments below. Explore more about: Home Automation, Home Improvement, Nest.